Unconsciously delivered unclean communication is trickier, as the person delivering the communication may be in denial about the full intent that lives below their communication. I sense sarcasm, attack, bitterness, a hidden agenda. Many times, blow up type situations occur from innocence and failure to address issues. 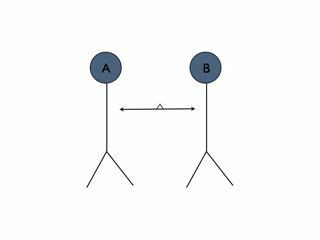 For example, if Person A interprets a communication from Person B as carrying a charge, and fails to address it, when they next step back into a communication with Person B they will be carrying some form of residue. At some point Person B, who was innocent to start, picks up the negative charge coming from Person A, and they now bring their own residue to future communications. Eventually a blow up will occur, and all over mis-interpretation and failure to commit to clean communication. If Person B is bringing overt, intentional attack to their communication, conflict resolution skills are required. Saying nothing is not a healthy option. Most people say nothing or become defensive and add more fuel to a simmering fire. It works like this. Leaders commits to keeping all communication completely clear always. They also educate their staff on clean communication and ask that everyone commits to clean communication. The language and the practice become part of the culture. Of course, it is critical that the leader supports a level of openness and honesty for this to happen. If there is no safety or trust within the organisation, clean communication will not work. Good leadership skills will ensure this happens. In our own business and life, Clean Communication agreements between partners is a non-negotiable. It is often the only non-negotiable rule we have, given that most of our relationships are built with a ground of high trust and respect from the outset. *Note. Environmental conditions can contribute to unhealthy communication. Stress, low blood sugar, lack of sleep, hormonal changes and deadlines can make any human snappy. The question is, do they have the self-awareness to recognise the source of their snappy communication? If not immediately, then in a reasonable amount of time, and apologies? Simultaneously, can the person receiving their snappy communication provide bandwidth in that moment, and not take it personally? When things have cooled down, to then openly discuss the situation and consider pathways to not have it happen again. Snapping back at someone who is snappy for an environmental reason, in the moment, will be completely unproductive for anyone. It does not make it right, but it will mitigate the effects short term. If someone is a chronic ‘snapper’ then the environmental conditions need to be better managed, as well as their own self-awareness of the negative effects their communication is having.